On occasion a customer will ask me to create a particular piece that I wouldn’t attempt otherwise. 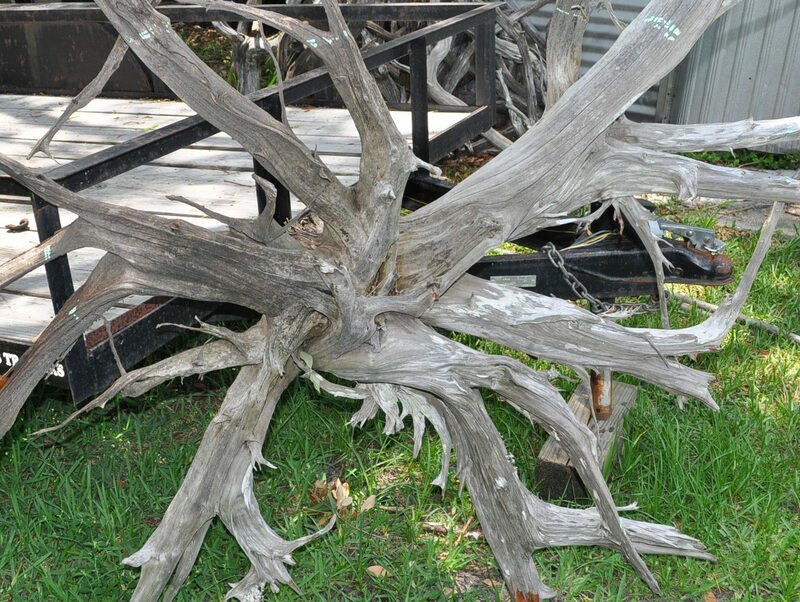 Early last year Phil stopped by my shop & was interested in a rectangular driftwood coffee table base for their vacation home at Martha’s Vineyard. 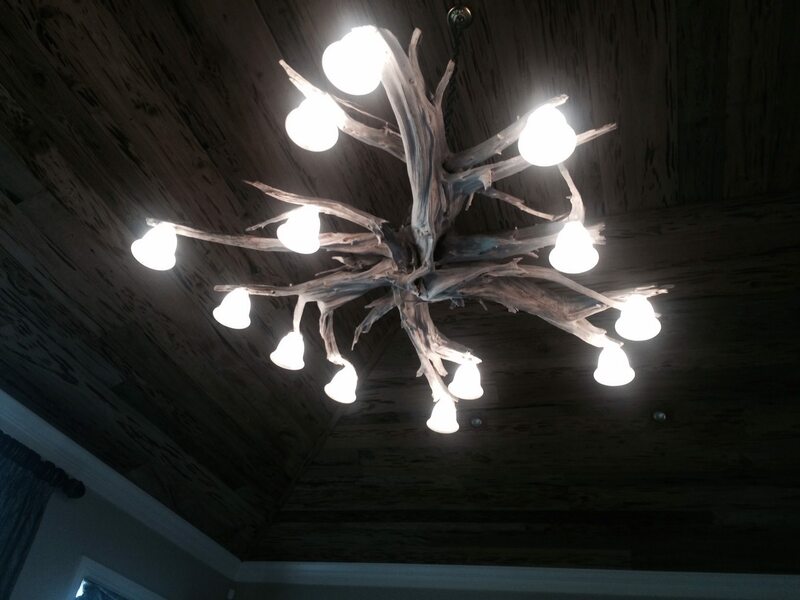 I supplied him with one & that got him to thinking about another piece to compliment the coffee table…..a driftwood chandelier. 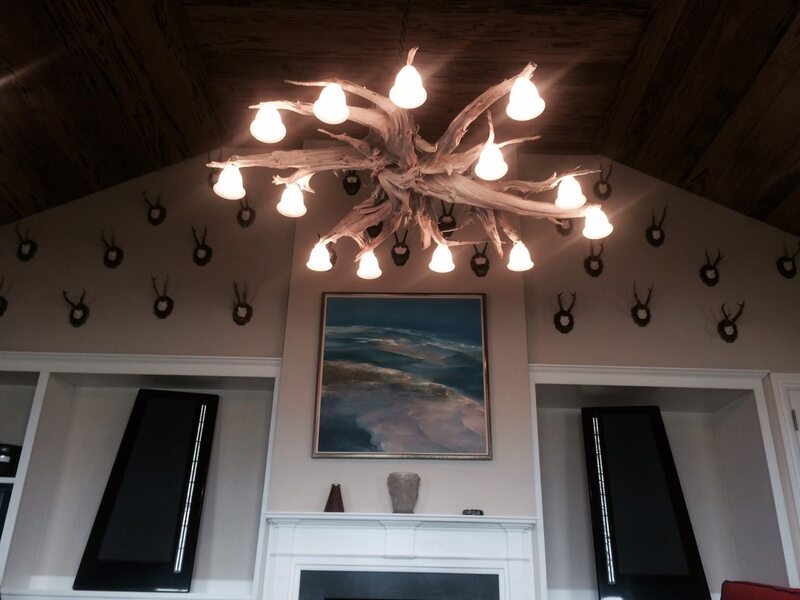 His initial idea was for me to secure a series of smaller driftwood together to form a relatively large chandelier. 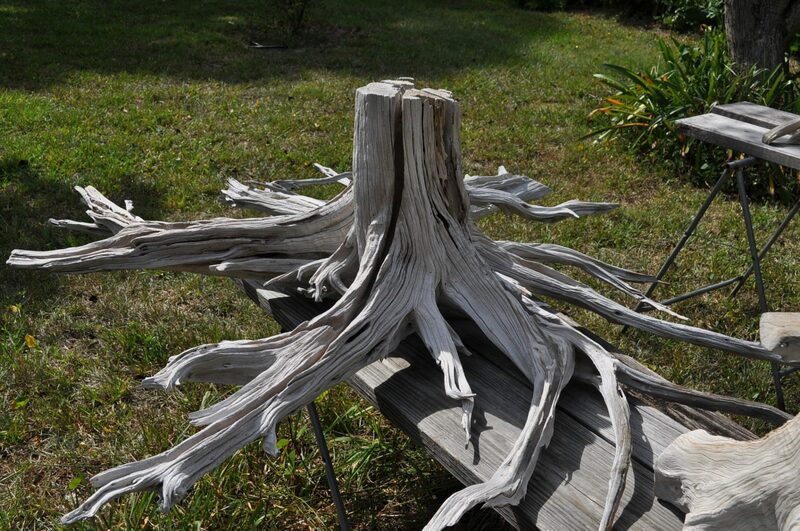 I suggested instead that I use one of my driftwood stumps that was more circular in nature & for which I would have used for a round coffee table. He liked that idea & didn’t want me to trim any of the extended branches resulting in a chandelier that was 6′ in diameter & weighed 60 pounds. Our agreement was that I would only prepare the driftwood & that he would be responsible for the lighting & electrical work. Phil owns & operates the Enzian theater, an local arthouse movie theater that also hosts the Florida Film Festival so the complex wiring (for me anyway) was not a problem for him. I cut groves on the top of each extended root for the wiring to go & he did the rest. Finally, the root system was completely weathered & I delivered it to his warehouse. He had it shipped to their home in Martha’s Vineyard & sent me some images of the finished piece. It’s always an interesting challenge to take a customers idea & turn it into a reality that they will be pleased to incorporate into their home decor.